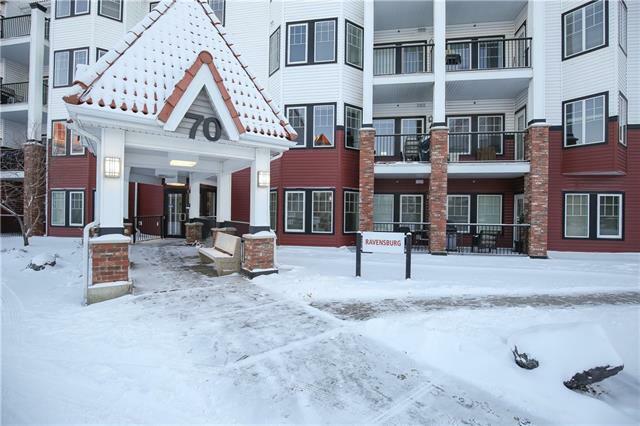 Welcome to "Red Haus" and this beautiful 1 bedroom, 1 bath condo with underground parking and in-suite laundry. 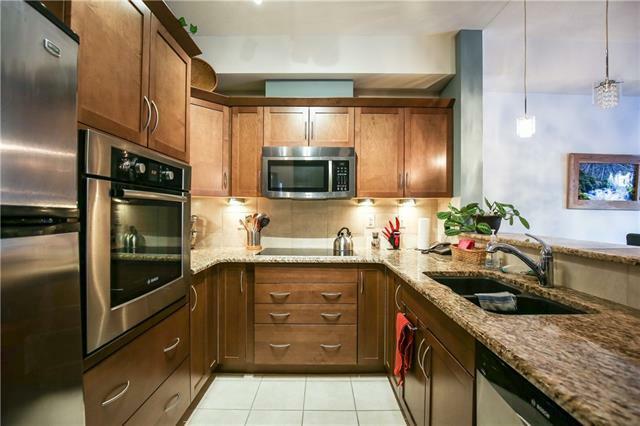 This unit has upgraded appliances, lighting and laminate floors. 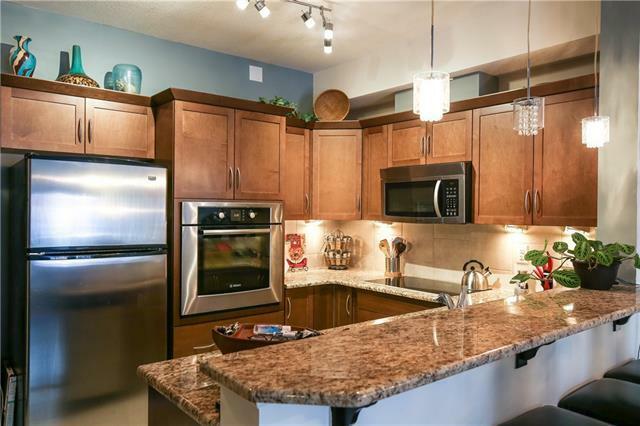 In the kitchen you will find stainless steel appliances, granite counters, wood cabinets, under cabinet lighting & a large breakfast bar great for entertaining. The master bedroom features a walk through closet which conveniently leads to the 4 piece ensuite and laundry. 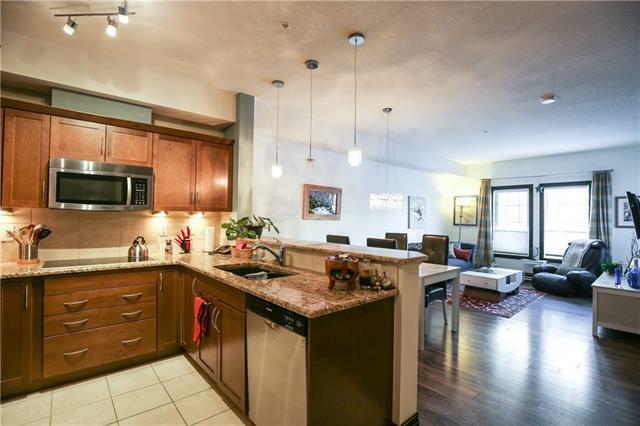 This unit comes with a titled, underground parking stall as well as a titled storage locker. The Red Haus complex offer some great amenities such as outdoor paths and seating areas, beautiful landscaping and the club house complete with fitness facility, games room, full kitchen, dining area, lounge area & library. Call today for a private tour!